Dear Betsy Devos, It’s In Your Hands. Home 2017 June 7 Dear Betsy Devos, It’s In Your Hands. Americans have accepted the fact that a solid education is what will determine the future of our country, and of ourselves. However, we need to look at the fact that not everyone is receiving the same education and not everyone is given the same opportunities. Not all schools have the same quality in teachers. Not all schools have the same quality in resources. Not all schools have students with the same quality of parent support. Maybe something is wrong with how funding is distributed in different areas? I think a change needs to be made to ensure the quality of our future and our lives. Nationwide studies conducted over the past ten years have shown that the average graduation rate in urban areas is 53% while the rate in suburban areas is 71% (Dillon). This drastic difference in graduation rates just based on areas tells us that something is wrong in the way these schools are being run. I think if the funding for urban schools where large minorities are populated was increased, and the quality of teachers who worked in this schools was brought up, we would see a significant rise in the average graduation rate in urban areas. The difference in urban and suburban city costs is $1623 as noted in a study conducted by the Halifax Regional Municipality of Nova Scotia (Carrasco). This is the first clue that urban areas are receiving less government funding for government services than people in suburban areas. A city will spend, on average, $3462 on the needs of a suburban household while they are spending only $1416 on urban dweller necessities (http://www.efc.gwu.edu//wp-content/uploads/2015/06/suburbansprawl.png). 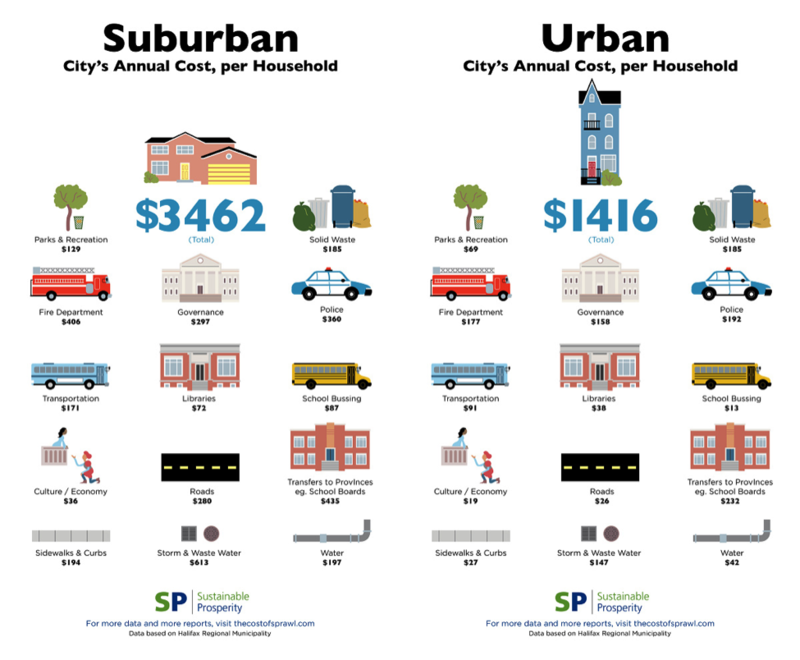 The same infographic that informs us of the total differences in city costs shows us that in suburban areas $522 is spent on school boards and bussing per family while only $245 is spent for the same things in urban areas. If funding was increased for students to be able to attend school and have solid school boards, schooling in urban areas would see a positive change in higher graduation rates and lower dropout rates. Urban schools persistently have lower student achievement when compared to suburban area schools. Urban schools tend to have a more inexperienced teaching staff with lowered expectations for their students. Considering urban schools are more densely populated with students than suburban schools, it is easier to understand why achievement is lower in these schools. Students aren’t getting as much one on one attention as students in urban schools because there are so many students in cities compared to suburbs. Throughout different studies, researchers have found that schools with more low-income Black and Latino students are more likely to have under qualified teachers than schools with higher concentrations of white students (Lee). Teachers are a students gateway to learning and are the best resource for a student to have. 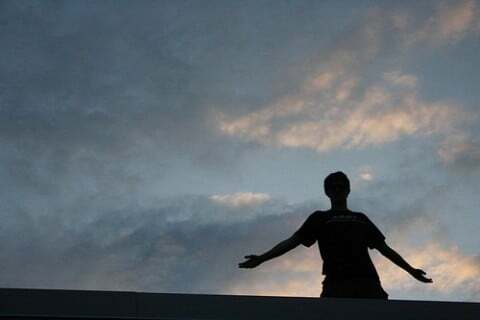 Without my teachers there to help me individually and explaining things to me thoroughly, I would be nowhere. If we work on reforming the quality of students education by making sure schools have qualified teachers working for them, we could see higher graduation rates. We would be able to see more people making it into college and prospering in life. Change needs to happen if this is going to get fixed. I have read several new articles that discuss upcoming policy changes we could see during your time as Secretary of Education, and I am worried. I have read that you believe funding isn’t the problem in these schools even though the statistics show us otherwise. I am hoping that after reading this letter you will have a different insight and understand things from my point of view. I am just worried about our future and want to make sure it is the best that it can be. I want everyone to be prosperous or be able to say that they had the opportunity to be prosperous. Dear Betsy Devos, It’s In Your Hands. by Maddie is licensed under a Creative Commons Attribution-ShareAlike 4.0 International License.